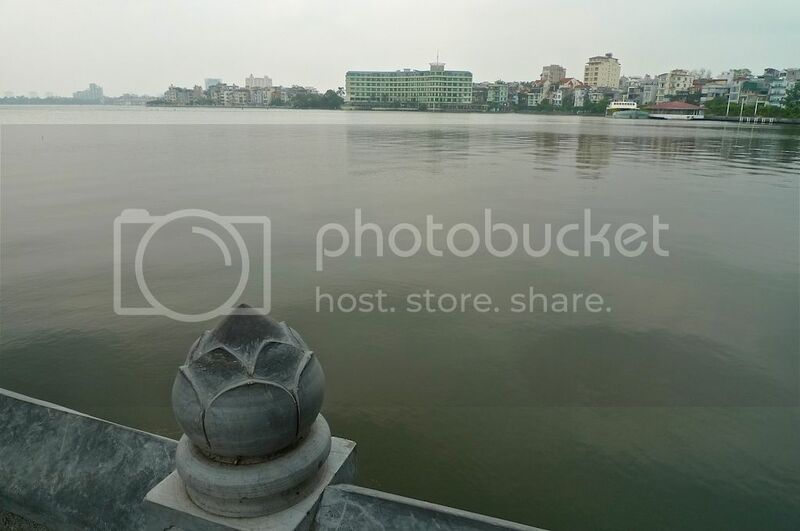 There are many temples and pagodas around West Lake in Hanoi. I did not have the time to visit all of them, so I had to pick and choose the more important ones. 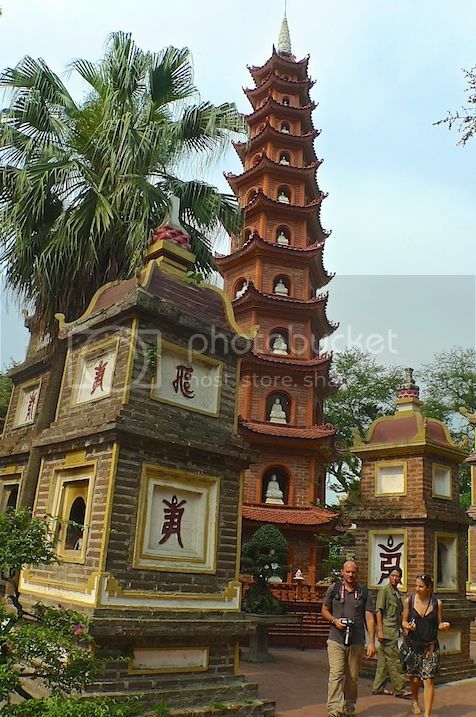 Having visited Phu Tay Ho Temple and Kim Lien Pagoda, two of the most famous pagodas at West Lake, I decided to visit the oldest pagoda in Hanoi - Tran Quoc Pagoda. 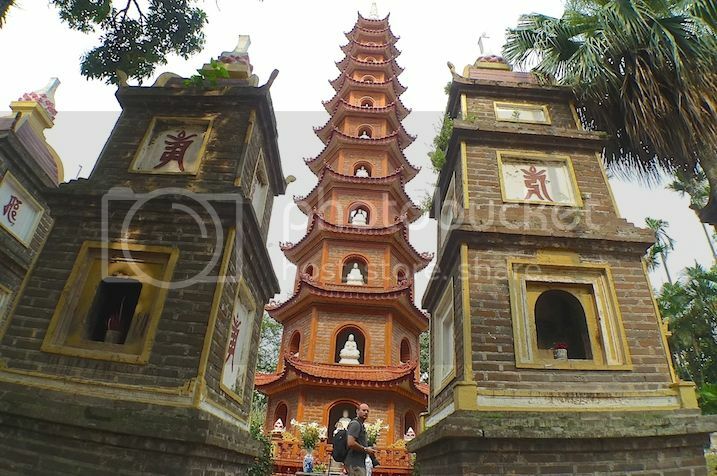 From Kim Lien Pagoda, my motorbike driver brought me to Tran Quoc Pagoda, which is less than 5 minutes ride away. 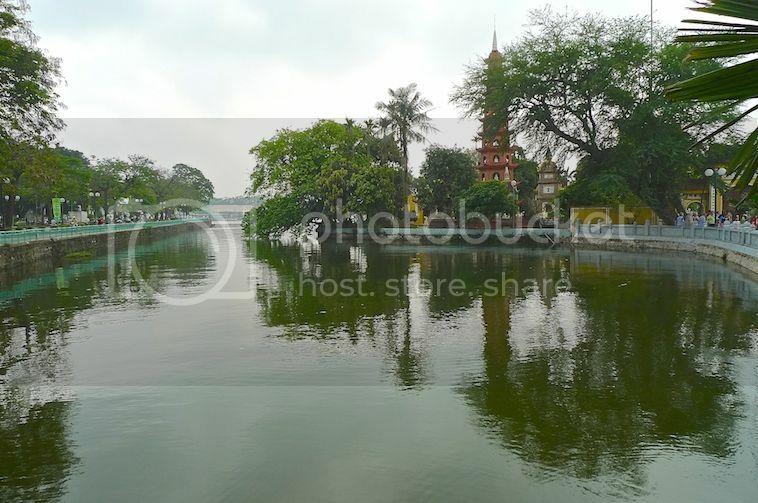 Even before I came down from the motorbike, I could already see the tall pagoda in the distance. 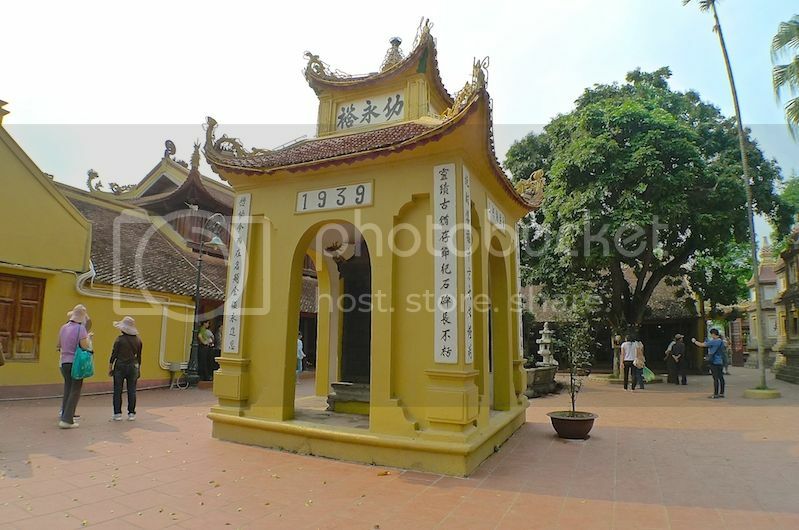 The Tran Quoc Pagoda, built way back in the 6th century during the reign of King Ly Nam De, is a Buddhist temple. 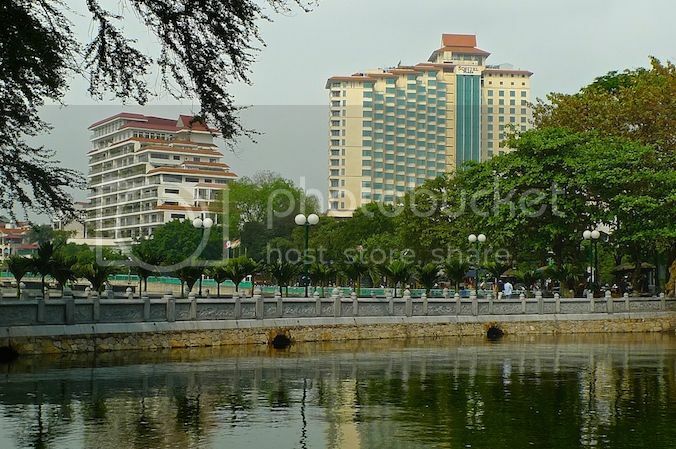 Originally named Khai Quoc, it was first built on the shores of Red River (where Red River and West Lake meets) before relocated to Kim Ngu islet (the present site) in the 17th century. A causeway linked the mainland to the temple. Palm trees lined both sides of the causeway, making it looked rather pleasant. Walking on the causeway, I could see the vast lake known as West Lake or Ho Tay. Just so that you can imagine the size, the circumference of this lake is about 13 km or 8 miles! 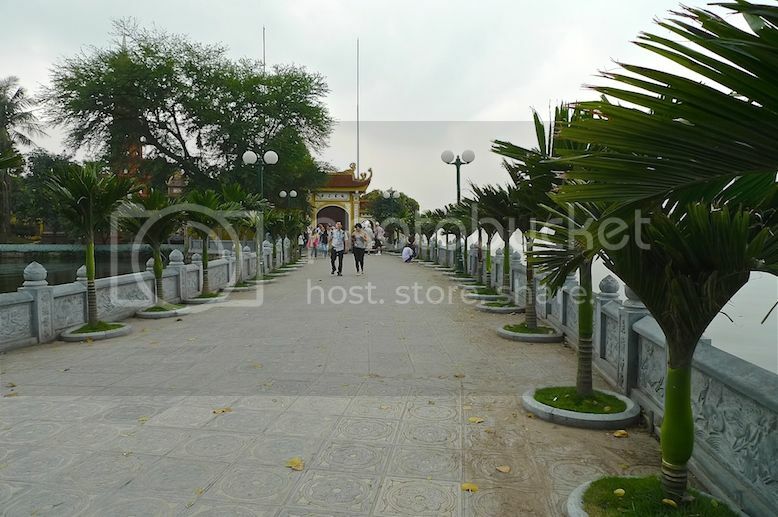 I reached the front gate of the pagoda. This gate is actually a recent addition, built in 1815. 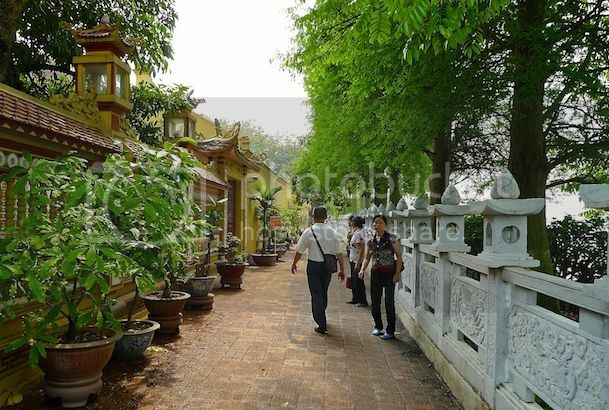 This is a passageway right after entering the gate. The pagoda is located on the left side, behind the wall. 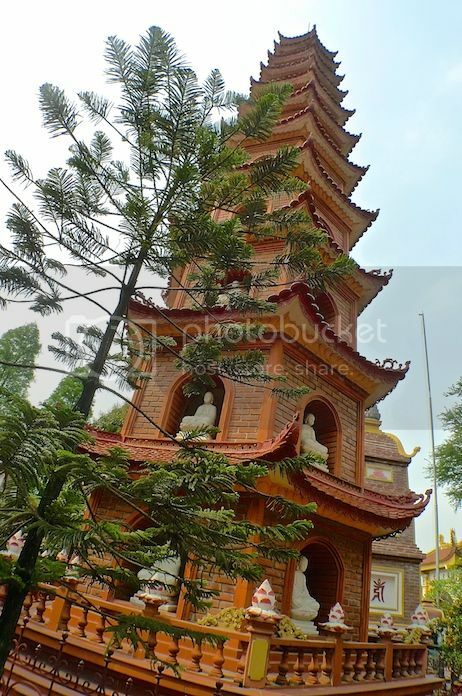 The sight of the pagoda tower right in front of me was quite breathtaking. It is about 15 metres high and has 11 tiers. 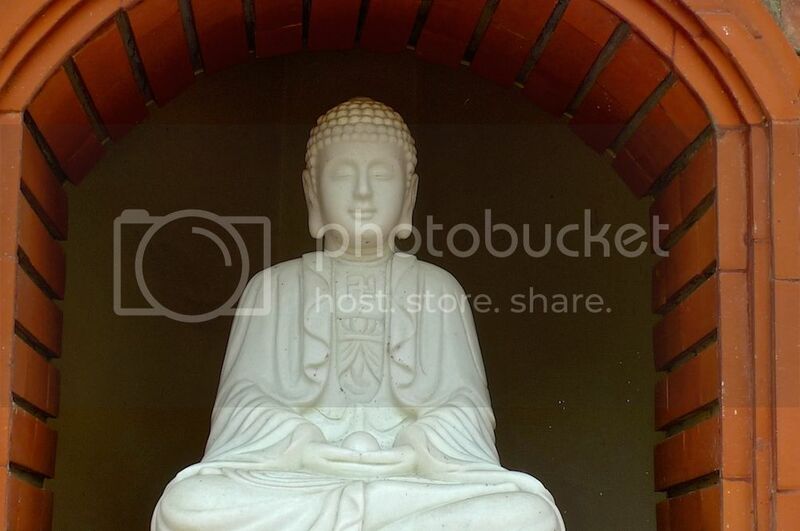 Each tier is designed to represent the petals of a lotus flower. 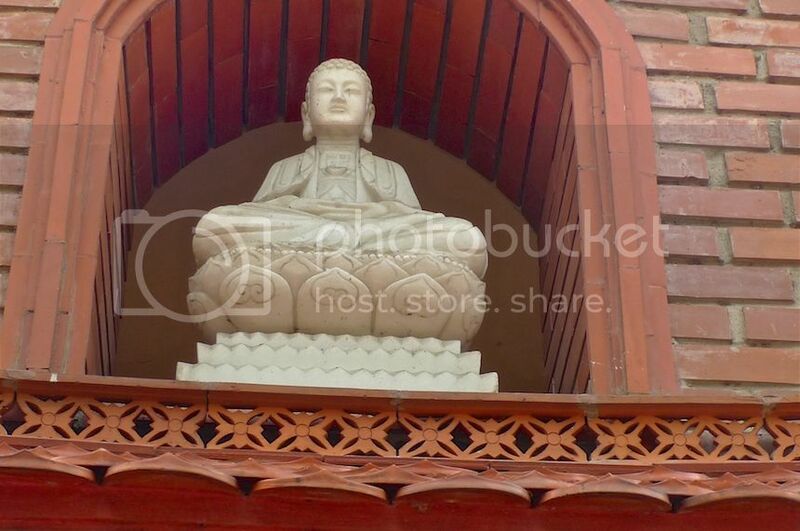 There are 6 arch windows on every level - each housing a statue of Buddha made from precious stones. OK, let's do a quick math, shall we? 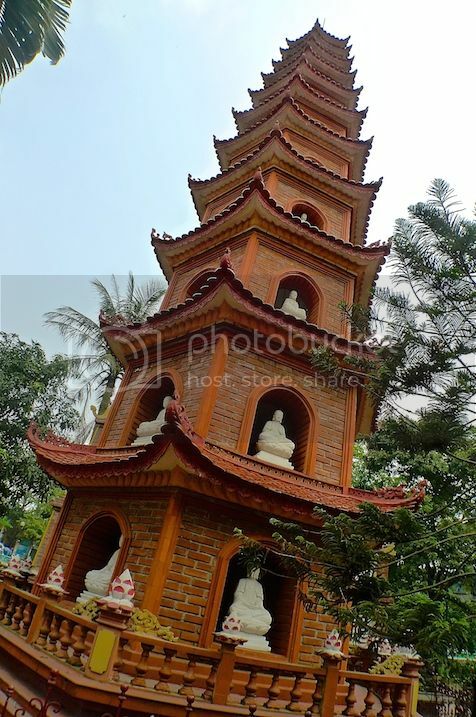 Since this six-sided pagoda has 11 levels, how many Buddha statues do you think reside in this pagoda? 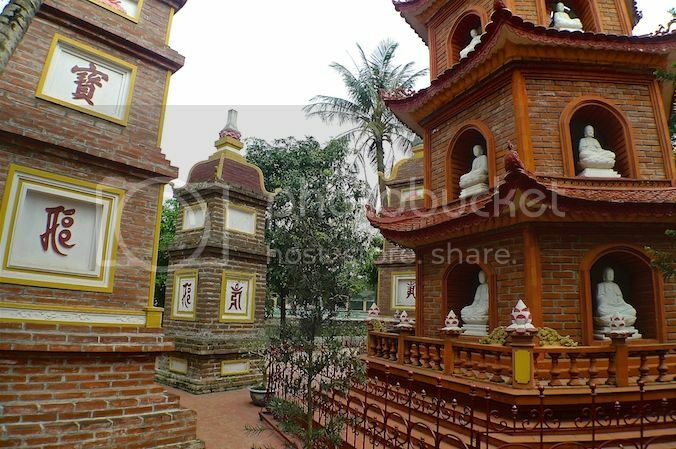 Shrines made from bricks surround the tower. 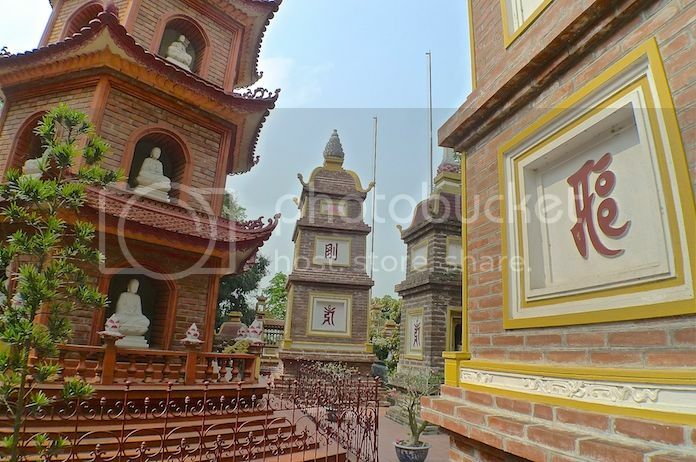 These shrines, with big chinese letterings on the walls, have altars with incense wafting out the windows. I took two pictures of this. One with the man who was blocking the view. And the other without the man so you can see what's there. There were quite a number of tourists during my visit - fortunately it was not crowded. 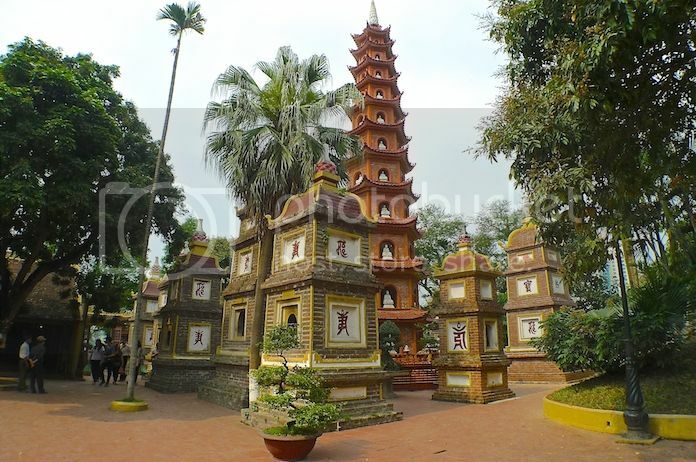 There is another pagoda here - a yellow pagoda built in 1939. 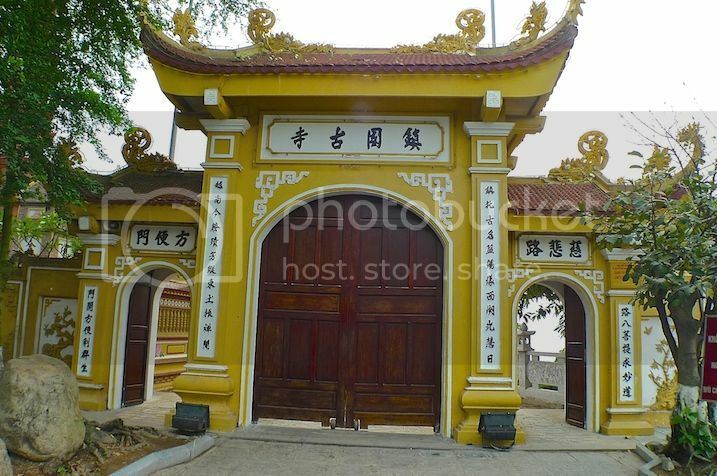 This yellow pagoda houses 14 engraved plaques chronicling the refurbishments from 1813 to 1815. 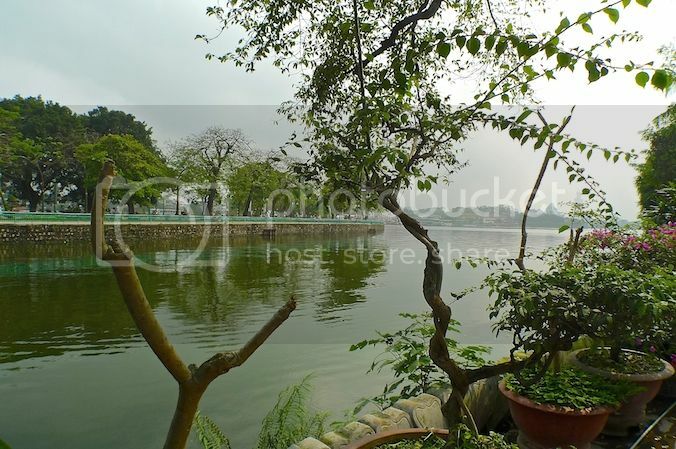 I took a shot of West Lake standing on the temple compound. I could also see Sofitel Plaza Hotel from here. 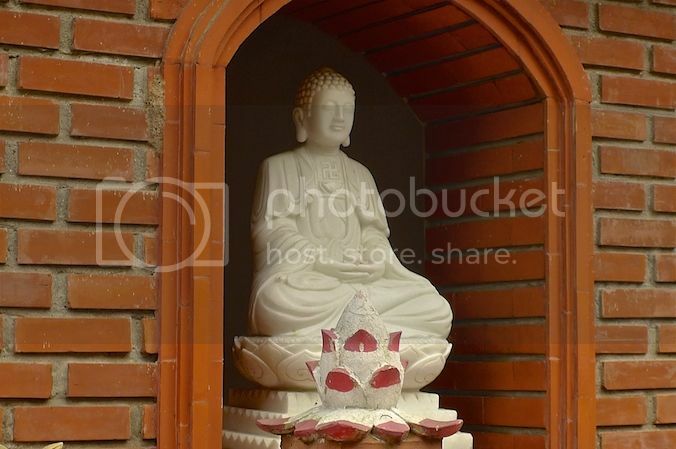 There is another shrine and a large bodhi tree at the back of the temple courtyard, but I did not take any pictures. 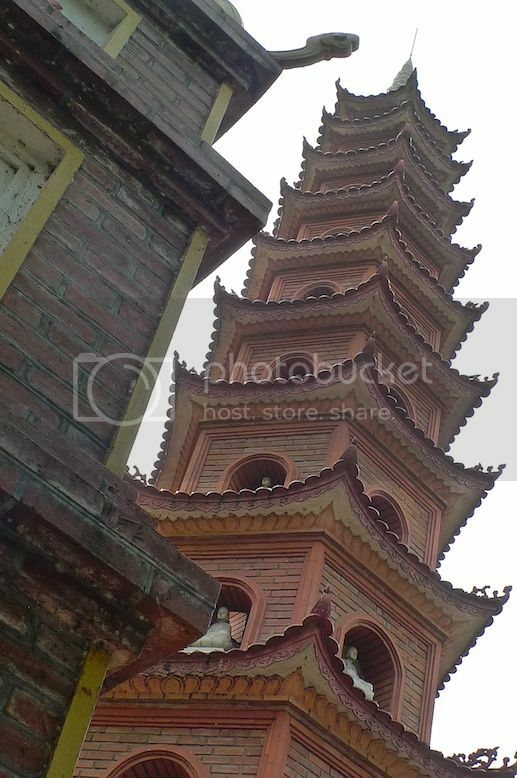 Instead, I took more pictures of the pagoda tower. 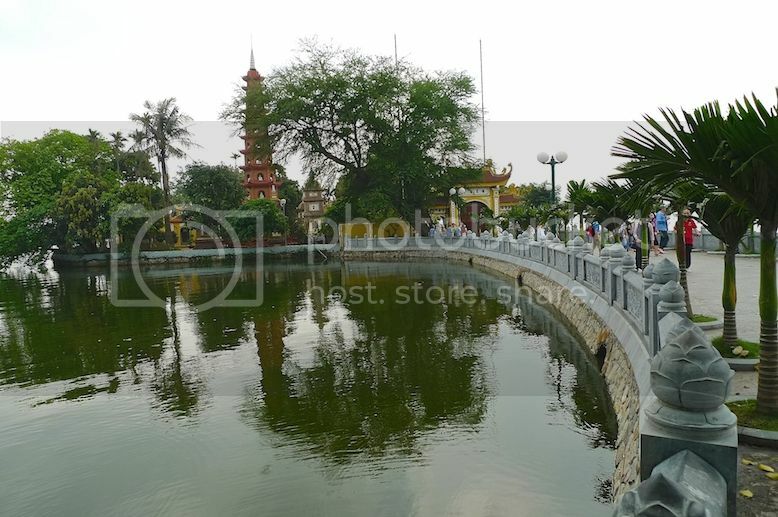 The architectural design together with the ambience of the green trees and lake make a visit to this pagoda very worthwhile indeed. 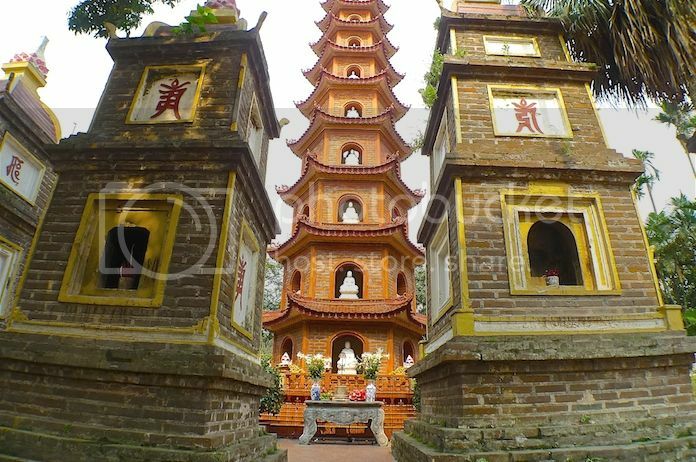 If you only have time to visit just one pagoda in Hanoi, I would recommend that you visit Tran Quoc Pagoda!